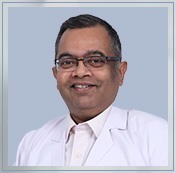 Dr. Rajan Bhargav is currently associated with Regency Hospital as an ENT Surgeon. He is also a member of the Association of Otolaryngology of India. Hearing Reconstructive Surgery of middle ear including ossicular reconstruction/stapedectomy. Cochlear implant surgery, one of first to do in U.P . Advanced Endoscopic Sinus Surgery including PNS tumour removal. Anterior Skull Base Surgery including CFS Leaks, Pituitary Tumours , Meningo encephalocoele repairs. Head & Neck Surgery inclusive of Thyroid/Parotid and Cancer Surgery. Laser Surgery for Aerodigestive track and Middle ear. Awarded Dr. P. P Karnig travel fellowship by the NES of India in 1993. Awarded Dr. S.P Singh Endowment award of Association of Otolaryngologist of India in 1994. Prof. Emilio Garcia Ibanez at Institute of Otology, Garcia Ibanez, Barcelona in 2010. Causse Ear Clinic, Colombier’’s France 2011. Rhinology Subdivision, Mass Eye & Ear Infirmary, Boston 2013.